Approximately 90 percent of all tablets in the U.S. relied on Wi-Fi over 3G mobile broadband last year, according to industry analyst Chetan Sharma. In his most recent wireless market update report that summarizes the industry in 2011, Sharma suggests that carriers aren’t a needed distribution chain for slates; at least not yet. 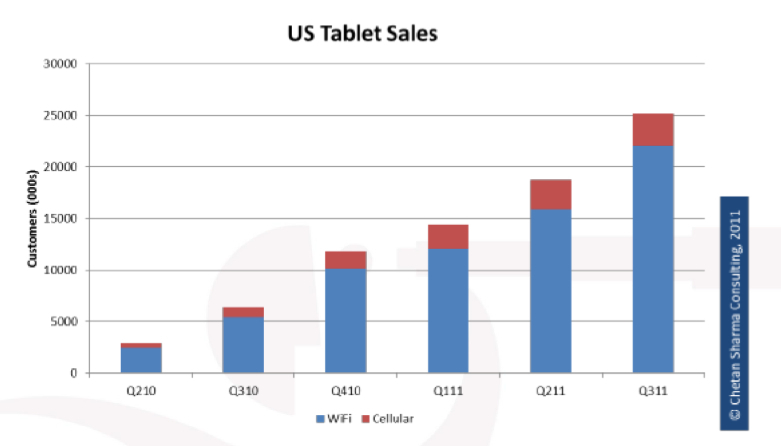 Perhaps more interesting is Sharma’s chart comparing U.S. tablet sales between Wi-Fi and cellular tablets. Although mobile broadband networks are expanding in coverage and rising in speeds due to next-generation technologies such as HSPA+ and LTE, there isn’t a huge increase in the number of 3G-capable tablet sales. And my suspicion is that most tablets with integrated mobile broadband are iPads(s aapl) for two reasons: The obvious first is that the iPad is the top-selling tablet, but the more important reason is the lack of carrier subsidy and 3G plan commitments. This point gets back to a poll I ran just over a year ago, asking readers if 3G is needed in a tablet or if Wi-Fi is good enough. More than 1,300 responses came in with nearly 54 percent suggesting that Wi-Fi-only was more desirable. That’s a much lower result than Sharma’s sales figures, but with our more tech-centric readership, it’s not a total surprise. Polls aside, why would Wi-Fi be more desirable in a tablet to most people? For starters, a Wi-Fi device typically has a lower up-front cost; even the new iPad with with 4G LTE service adds $130 solely for the option of using mobile broadband. 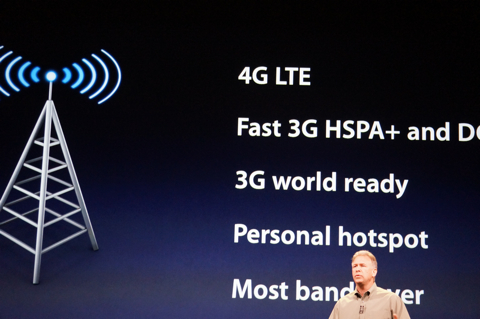 Second is the contract commitment of a 3G or 4G tablet. Apple’s iPad is the lone exception here as there is no contract required. Instead, iPad owners purchase mobile broadband data a month at a time or simply choose not to use the feature. But for all other tablets sold with mobile broadband connectivity, there’s typically a two-year contract as the carrier has paid for part of the hardware. That means consumers are paying for mobile data each month, whether they use it or not. And there’s another issue with this model: the device life cycle. The mobile industry is changing so rapidly that a tablet purchased now could be perceived as “outdated” in as little as nine to 15 months due to hardware advances. That doesn’t mesh will with a 24-month device commitment with early termination fees upwards of $350. I agree with his assessment; family or shared data plans will help, although the devil’s in the details of such plans. If carriers continue to subsidize the hardware and require long-term contracts for tablets however, I don’t see the situation changing anytime soon. Personally, I like the freedom of using a connected tablet anywhere I want to. But after buying my first slate with 3G back in 2010, I’ve since opted to go with Wi-Fi models. My new iPad and my Galaxy Tab 7.7 are both Wi-Fi only; if I really need to get connected with either, I’ll simply use my phone as a temporary hotspot and skip both the long-term tablet commitments and extra data plan that’s specific to hardware I’ll likely replace long before a two-year contract. Bring on the shared data plans, carriers, and I’ll reconsider. Am about to get a slate to go with my droid and have tryrd to educate myself by reading everything i get ky hands on,but all these tablets from china have some low prices I is a superpad pc wifi with 3G Usb a good choice or do i bite the big bullet for apple or samsung? The carriers have only given thought as to extract wealth from their non-business customers. Big mistake in a down economy. Carriers should be thinking hard about the value proposition and how they can help increase consumer wealth. Silly to think they can extract more blood from a turnip. Every dollar wasted on useless gadgets and services, will come back to haunt them in the long run. The other factor not mentioned here is that, unlike smartphones, the vast majority of tablet usage occurs on the sofa at home, where there is no need for 3G/4G. Most tablet owners I know, including myself, don’t really *use* the tablet while on the move — instead, we simply carry it between locations that provide sit-down-lean-back usage; such locations almost always have Wi-Fi available. Smartphones, on the other hand, are frequently used while on the go (walking, standing in line, on public transport, etc. ), making 3G/4G a necessity. Since my cell phone with a good data plan can act as a hotspot at no extra charge my ipad has no need for 3G. This is ignoring that fact that 99% of my tablet use is at home where my wi-fi is anyways. Agreed, $130 is quite a bit for the mobile data hardware. Especially since most places have free Internet anyways. I just use my ipad around the house anyways and use my phone when I’m out and about. I am not sure how the tablet sales numbers were arrived at. According to the chart on Tablet sales 25 million units would have been sold in Q3. But Apple’s global tablet sale was 11.12 Mil units. Even WebOS and Samsung combined cannot bridge the gap to 25 million units. The chart may be a cumulative use data and not a tablet sales data. Recent report from Comscore indicates 91.5% of iPad traffic is from Wifi and rest from Cell while 63% of android tablets use wifi and rest are on 3G… I don’t think Apple provides breakup between wifi and 3G units sold. Going purely by connection type ignores people who pick up a 3G model with a recurring plan (includes me and half a dozen of my friends). I think every other estimate I have seen points to a 60/40 for ipad 1 and 50/50 for ipad 2 split. Chetan is the expert here and I could be missing something here. Any comments? The author obviuosly hasn’t heard about “carrier Wi-Fi offload”. Dear GigaOm, could you please next time write about something you at least remotely have a clue? I bought the new iPad with AT&T 4G LTE builtin (so that I would have that option) but haven’t signed up for a data plan yet, and don’t really have plans to do so unless AT&T sharply reduces the price of its data plans (or I am in desperate for connectivity in a location without WiFi). I may not be alone in making such a choice, so the true number of WiFi users for tablets may be even higher than 90%. Even with the added GPS functionality, I do not see the justification in the $130 or so premium on the 3G/LTE tablets. Add to this the carriers low cap, high overage data plans. Personally, I have and use a wifi tablet and use my iPhone whenever I need instant connectivity. Wifi is available almost everywhere these days. Even my child’s school offers “guest” wifi access for parents who are waiting at sporting events and school functions. 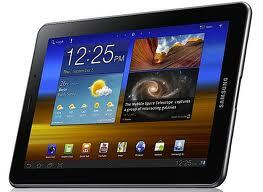 I own a Samsung Galaxy S2 and I honestly do not see the need to have a 3G/4G tablet. If I absolutely need the connectivity, my phone is more than capable of filling in the void. $130 is the sticker shock for mobile data hardware. Hence most of the users do not go for it. I thought about the LTE iPad. Then I said forget about it. It’s not that it’s not capable, it sure is and thensome. What stopped me is quite simple the WIRELESS CARRIERS. The idea that on this device they are blessing you with 2gb of data a month on this is a joke. I’ll jump on a 4G tablet when the plans make more sense. 50-100GB for 30.00 would be great. Will we see that happen, Yes. When? When my grand kids have children and that might be too soon. It could be true but in the end everything will be over the internet as that’s why the internet is here, and most of the carriers own internet infrastructure. > Appleâ€™s iPad is the lone exception here as there is no contract required. Instead, iPad owners purchase mobile broadband data a month at a time or simply choose not to use the feature. I use my ipad for maps and gps navigation. I also run two other applications that would be totally useless without cellular access. Intix and trapster. I use them all the time in my car. also when i’m at work.. I try as much as possible to use the corp internet but because of a blocking proxy most of the sites I would like to visit are blocked. So without a cellular modem I would be stuck. I find it interesting that very few people mention that the only way to get the built in GPS on the iPad is to get the one with the 3G/4G network connection. I am looking to get my first iPad soon, and have decided that it’s worth the $130 difference to have the GPS and the optional connectivity. My 4G cellphone already has wifi internet sharing, so I’ve got interesting questions of the ability to use the GPS without turning on a phone contract, but I figure that’s just part of my learning curve. That’s a good point; if you want GPS, you have to buy the mobile broadband iPad. Some manufacturers are now including GPS radios in their Wi-Fi tablets, but with the iPad, you don’t have that option. And there’s no need to “turn on” or activate the GPS radio; it will work if your 3G/4G is active on the iPad or not. Folks that need GPS in the tablet have to go this route, but in my opinion (certainly arguable), the GPS isn’t of as much value for larger tablets; especially if you already have a smartphone with GPS. The GPS comes in handy on a tablet for location-based searches and such, but less useful for actual navigation due to its size. Again, just my thoughts in general; some will have a need for GPS in tablets and I understand that. You certainly can as the Wi-Fi model will use wireless networks to determine your approximate location. You’ll get far more precise location with GPS, however. Good question! I thought with iOS 5 or the last iteration of iOS 4, if you tethered your iPhone to the iPad, your iPad could use the phones GPS. I’m happily using a Windows Phone on T-Mobile, so can’t attempt any tethering with an iPad. I decided to order an iPad3 with Verizon LTE as my first tablet, so it’ll be my new learning toy. Part of the reason I decided on the Verizon model was due to the fact that Verizon allows tethering for data, which would allow me to use either my cell phone or my ipad as a hotspot if I need. I bought the iPad 2, and when I figured out that it did have GPS, I became infuriated. But then, my Asus Transformer updated to Android 4.0, and now I feel it is a much better device than my iPad 2. AND, it has had GPS the entire time. I have T-Mobile with 5GB of 4G and love it. My cellphone, the HTC Sensation 4G, allows for mobile hotspot without any extra costs on my cellphone bill. I still just cannot believe my iPad doesn’t have the GPS. I let my kid use it, and mount my Transformer to my car Dash and it is totally Rad! I love my 3G iPad. The anywhere internet is the main reason I got an iPad at all, and I really like that I donâ€™t have to have the 3G, every month. If an option like that were available for iPhones, Iâ€™d probably have one of those, tooâ€”especially if I could share the data. As is, I donâ€™t even own a cell phone.